Usually, talking about expat issues, we discuss situations, when they are living abroad temporarily, thus learning to adjust, but not necessarily adapt in a long run. What if you relocate with a plan to actually settle down and make this new place your permanent home? Well, then, of course, it’s quite a different matter. Learning the local language becomes a must, you would most probably choose a local school instead of an international one, your social life would hopefully spread out beyond the expat circle. I’ve talked to an expat mother, who moved over from Switzerland to Australia with her husband and a kid (their family grew in Australia and now they have two children). They relocated with a plan of settling down and that directly influenced their choices concerning adaptation of their kids. Please, tell us more about your kids – where were they born? Have they moved? We speak Swiss German and some of the stories we tell are Swiss stories. We celebrate Swiss National Day and on the December 6th is ‘Samichlaus Tag’. It’s when Santa comes and then on Christmas he comes back again… There are some typical Swiss dishes we cook every now and then. 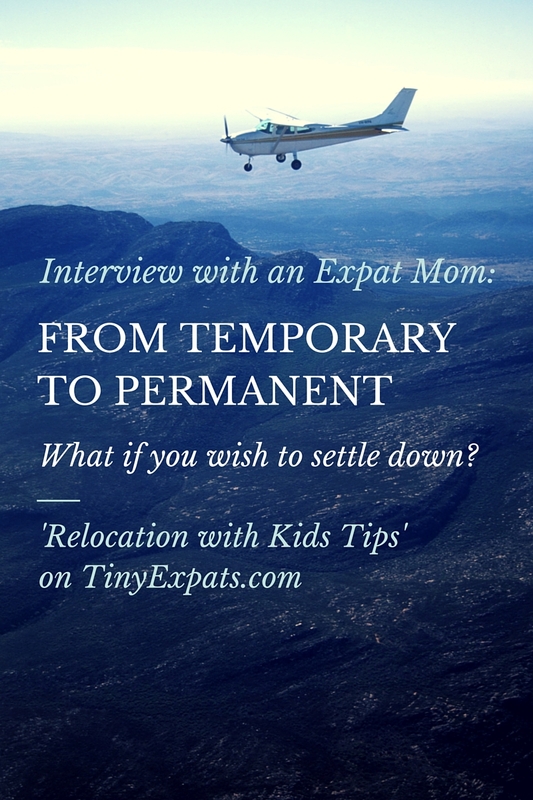 You can read this interview, given to me by A Momma’s View author, on EasyExpat/ BlogExpat. Oh sorry! Will edit it asap :) Thank you for participating! No problem! Thanks for sharing! This is awesome! Thank you for participating and reblogging!